The Bronx is both the northernmost of New York City’s five boroughs and a county of New York State. It is divided into two regions, the East Bronx and the West Bronx by the Bronx river. 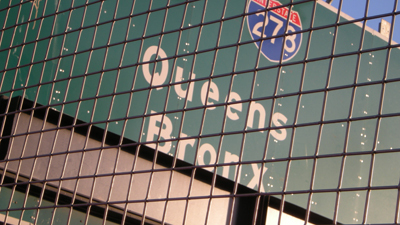 The Bronx is also the only borough located mostly on the mainland. This borough is New York City’s fourth most populated and the fourth largest in land area -- 42 square miles. According to the 2010 census, the population of the Bronx is approximately 1,385,000. The Bronx became a borough of New York City in 1898, but the county was not separated from New York County until 1914. The area was named after the Bronx River, whose name is derived from Jonas Bronck, who established the first settlement in the area during the founding of the New Netherland colony in 1639. Within just a few years, the Native Americans who populated the region were forced out by the Dutch settlers. Between the mid-19th and mid-20th centuries, an influx of European immigrants, including Germans, Irish, Jews and Italians began carving ethnic enclaves throughout the borough. As the tensions of World War II receded, new ethnic groups began to move to the area, including African and Hispanic Americans. The Bronx has a rich history from the middle of the last century featuring Puerto Rican, Dominican and Jamaican residents. The cultural influences of these groups has had a tremendous impact on popular music trends, and several internationally famous musicians, singers and performers hail from the Bronx. Unfortunately, in addition to the wealth of culture in the area, the Bronx is also historically one of the poorest regions in the nation. Due to a lack of livable housing and a low quality of living, and a rise in crime during the 1960s and 1970s, the Bronx has been undergoing a widespread redevelopment recently, reclaiming the area and better exhibiting its diverse cultural origins. Today, the Bronx continues to see an economic and developmental resurgence. Literally burnt rubble has now been replaced with attractive and neat row houses, sidewalks and familiar community centers. The Bronx has a number of popular attractions which draw visitors to New York City every year. The Bronx Zoo is one of the world’s largest metropolitan zoos, featuring over 650 species among it’s 4000 inhabitants. The Bronx River flows right through the 265 acre park, and the park is one of four zoos and an aquarium managed by the Wildlife Conservation Society. The park features a variety of naturalistic habitats, including african plains, the Congo, and Wild Asia Monorail which exhibits the diverse ecosystems of Asia. The New York Botanical Garden is home to some of the foremost plant laboratories in the world. Open to the public, about 800,000 visitors come to the Garden each year for the various exhibitions and flower shows. Together, the Bronx Zoo and the New York Botanical Garden help preserve vast expanses of open space, making the Bronx the least developed borough in the city. Staten Island - Get information about Staten Island, NY.